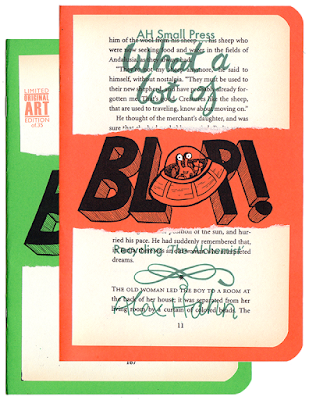 Ttile: What a lot of Blop! 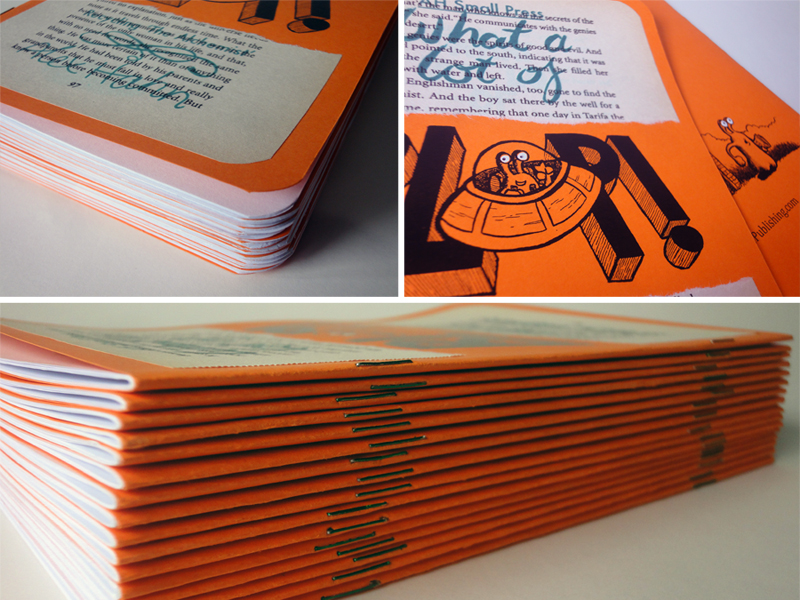 Edition: Orange/standard: <100 copies; Green/limited edition: 35 copies. 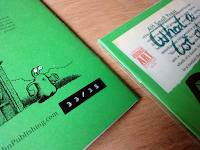 Binding: Paperback/Pamphlet; collage; hand finishing. 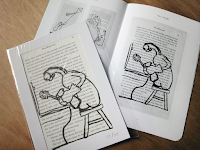 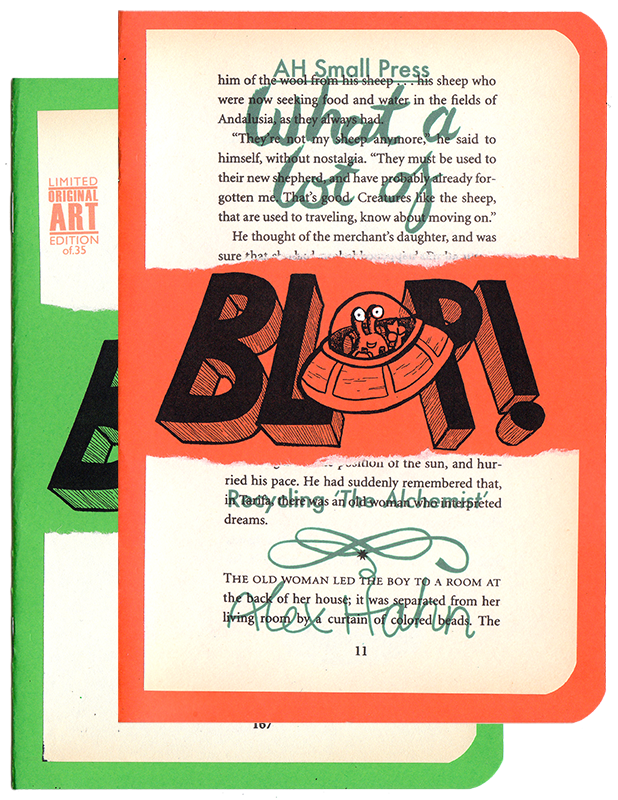 The limited edition version includes a randomly selected original drawing from the book. 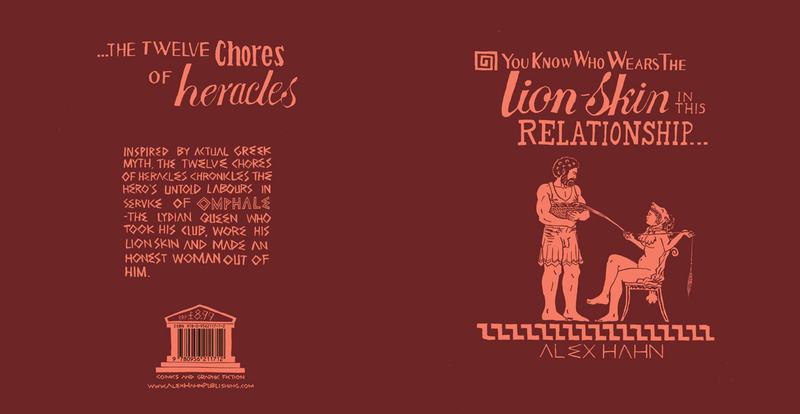 At long last, the cover jacket for Alex Hahn's You Know Who Wears the Lion-Skin in This Relationship... is unveiled! 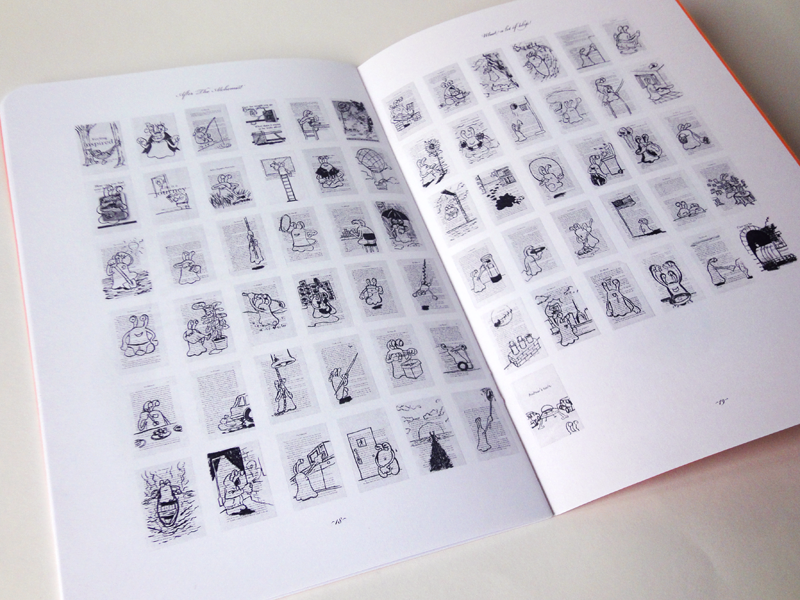 The 32-page picturebook is to be released on April 26th 2012 and can be pre-ordered from Amazon.co.uk now.